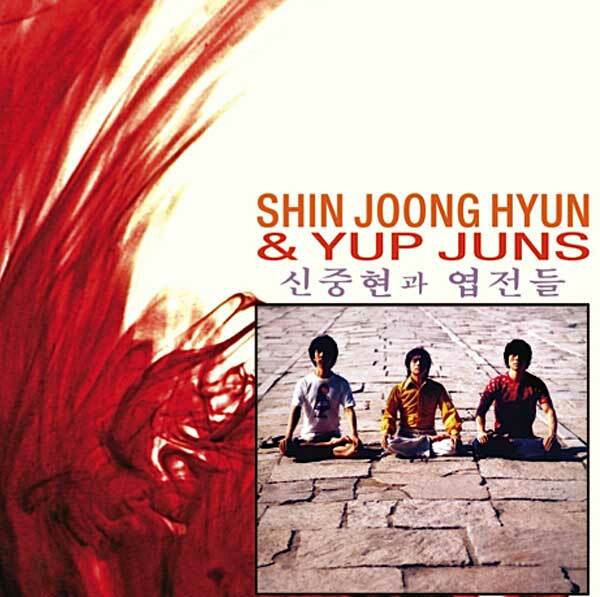 Spring of 1974 witnessed the birth of psychedelic power trio Shin Joong Hyun & Yup Juns. “In Korean, yupjun literally means a brass coin,” Shin explains. “However, during that time it was used as slang to describe a sense of unpleasantness and dislike. Since I was so unpleasant and dissatisfied [in my career], I told myself, ‘Ok, fine, I am just a yupjun,’ and named my band with a rebellious attitude.” He began by renting a room at Seoul’s Tower Hotel to serve as a creative base for the group. After six months of preparation, the group cut ten powerful songs filled with monster grooves, fuzz guitar, emotive singing, and top-notch songwriting. The album was pressed up as a broadcast-only promotional vinyl to test radio response; the response wasn’t what anyone expected, and the record label refused to release the album. The band re-recorded the album, but it is this, the original ten track version, that has become legendary—with good reason. An astounding record, and one that we are privileged to bring to the rest of the world for the first time. The 180 gram vinyl version comes in a deluxe old-style jacket, with OBI, and has a full color insert with liner notes and rare photos; the deluxe mini-LP sleeve CD version has a 20-page booklet with rare photos, and great stories about Shin Joong Hyun and his continuing place of prominence in the Korean music scene. 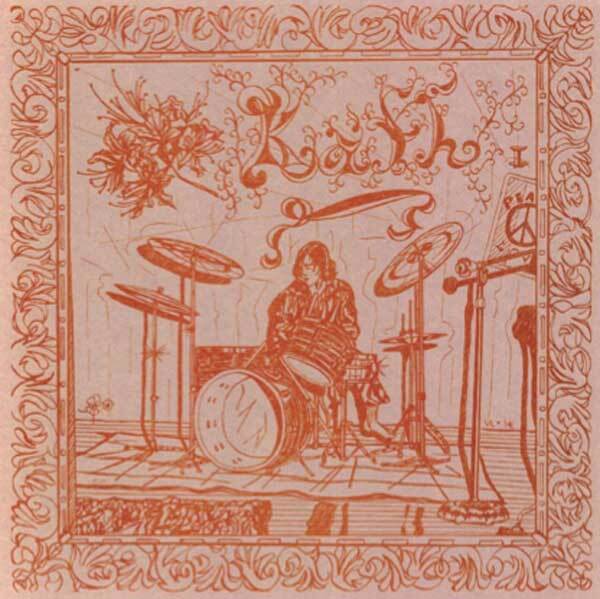 Not many albums can get you in the mood to blow out your speakers quite like Kath, a band that evolved from local Maryland 1960’s band Badge. This is an authentic low-fi DIY effort, recorded in the home of the band’s leader (and, yes, actually dedicated to his pet monkey—and his girlfriend! ), originally released in 1974 in a micro edition of 60 handmade copies, and later reconfigured for a legendary Rockadelic label LP version. Truth to tell, the Kath album is full of well written melodic songs with loose, semi-ramshackle, low-fi/no-fi production values. Nothing gets down and dirty quite like 'Say What You Feel,' with its blown out bass, killer guitar and drums, echoed vocals and sound effects; well, actually, ‘Love Me Down' is equally potent. The band also had a fondness for tape experimentation ('Seagulls') and simply screwing around ('Toilet Theme'). As Patrick the Lama said in Acid Archives, “Obscure and impressive melodic basement garage/psych excursion with a lo-fi atmosphere that would have most purveyors flip out, hits the Ampex two-track echo & tinny drum sound dead on.... At times the vibe is almost like Mystery Meat or Index, and that's not something you run across every day. A totally outside garage/psych/private LP that feels as personally projected as those Michael Yonkers sides. Nuts lo-fi recording quality and impossible-to-figure production values gives this a nicely zonked almost real-people vibe. Keyboards, fuzz, heap of amateur avant spirit and a cover of 'Norwegian Wood' that ranks up there as one of the few listenable Beatles covers ever cut by teens with brains." We've also included Badge's excellent 1978 five-track EP as bonus tracks. And since too far is never far enough for Lion Productions, we've also added an entire second disc of outtakes from the Kath recording sessions, plus other related home recordings. This 140-minute double disc set comes with twenty pages of extensive liner notes by Kath and Badge leader Val Rogolino, and a plethora of photos from his personal stash. Budget-priced double disc package includes a 20- page booklet, with an introduction by Marcus, his incredible history in music, and lyrics. Although they sprung ready-made from of the ashes of legendary candombe/beat group El Kinto, one of the best-kept secrets from Uruguay’s musical mythology is nevertheless the group of musicians who recorded one album as Limonada. So what happened? The story starts with the end of El Kinto, when band leader and iconoclastic maniac Eduardo Mateo decided to embark on a solo career (see our Lion Productions collection of his early music for more details), and the other members of El Kinto said “let’s do something together.” And so it was that in the middle of 1970, Limonada recorded their one and only album, “LimoNada” (Sondor 33.111). It is a strange record, with backwards tape splices and abrupt song changes, that remains at the same time absolutely accessible and very groovy, in a Tropicalia sort of way, which might explain why it was an immediate success. 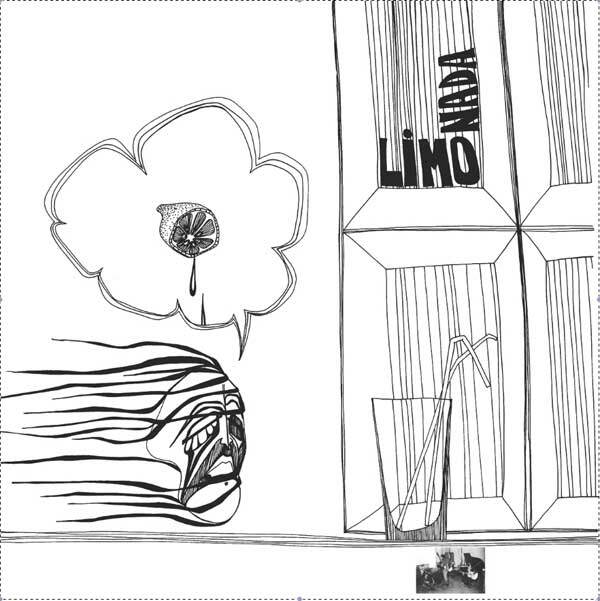 In truth, it’s a profound mystery why the Limonada LP—one of the ten best sellers of its time within three weeks of its release—seems to have vanished from the consciousness of even the most devoted fans of obscure music. Until now, of course. Now, on to the presentation—the highest quality mastering and pressing (done at Acoustech Mastering/RTI in California, the same people who master and press every title that audiophile label Classic Records makes); the resulting LP is housed in a poly-lined sleeve, inside an ultra-heavy 1960's style jacket, which is housed in a loose-fitting plastic sleeve. Inside you will find an insert with historical background on the Uruguayan scene, details of the band’s past, plenty of photos, as well as a brief overview of the legendary Sondor label, printed on 100% recycled paper. The LP labels are replicas of the Sondor originals. A top of the line pressing all the way. Limited edition of 500 copies. Shindig! magazine - Psych, garage, prog, powerpop, soul, folk… for people who want more! 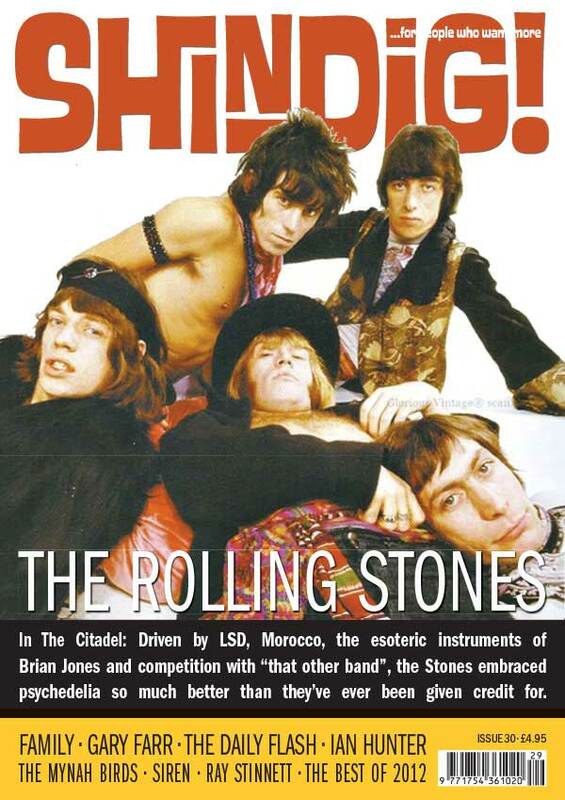 THE ROLLING STONES In The Citadel Driven by LSD, Morocco, the esoteric instruments of Brian Jones and competition with "that other band", the Stones embraced psychedelia so much better than they've ever been given credit for. KRIS NEEDS goes deep inside the mind of the ’67 Stones! Available from all good Independent Recod shops! ZZEBRA (est. 1974) in its original encarnation was an amalgamation of two brilliant bands. Terry Smith and Dave Quincey from IF and Lasissi (Doughty) Amao from OSIBISA. Liam Genockey and John McCoy were brought in on drums and bass, and Gus Yeadon (ex-Love Affair) on keyboards and vocals. 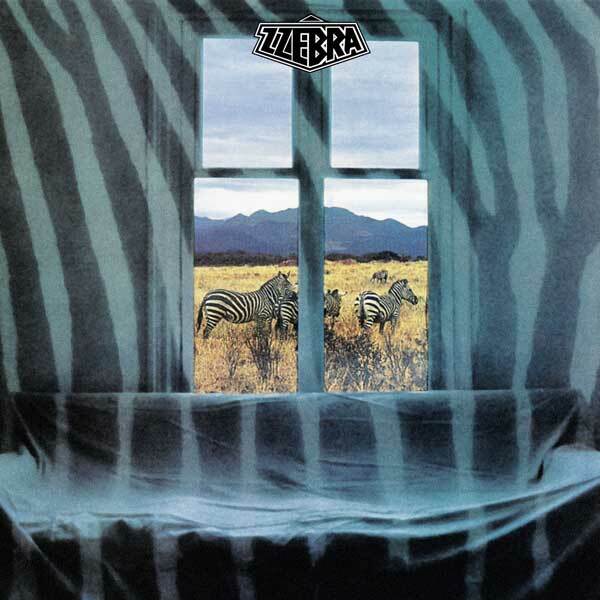 ZZEBRA was a hard-working road band and it's improvisitational natural couple with the sheer power of the rhythm section allowed it to constantly experiment without losing the audience. The combination of jazz, serious heavy rock and Nigerian folk music was incredible and new on the scene. The result can be heard on this phantastic debut album from 1974, released back on 180 gram vinyl for the first time. 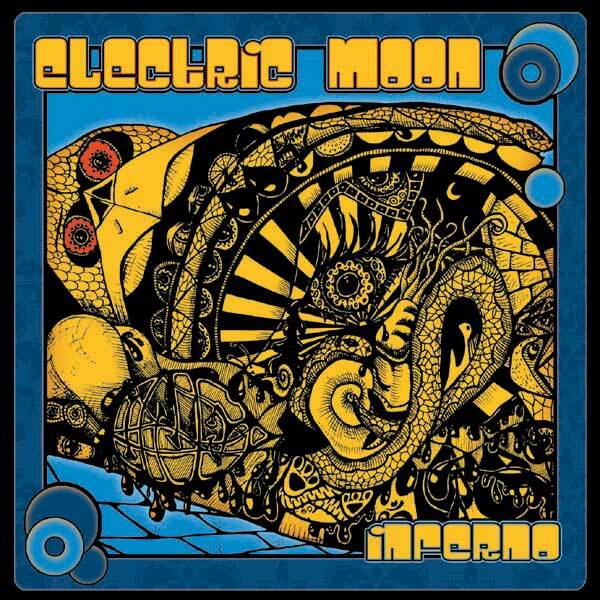 A modern Psychedelic / Trancerock / Ritual-Music Classic! Official issue of the 2011 released CD-R (sold 350 copies). 2 tracks in more than 66 minutes! The almost 52 minutes long, meditative to ecstatic titeltrack (“Inferno”) is the most played Electric Moon track on youtube!!! More than 150.000 plays (around September 2012)! This quintet’s sole album – a legendary set of West Coast-style ballroom psych – disappeared into obscurity on its original release in October 1970. It makes its definitive vinyl appearance here, complete with an extra disc of rare bonus tracks, detailed liner notes and rare images that are sure to give a kick to collectors worldwide. 1970 psych classic - Ultimate edition - Ltd Double LP with Eight bonus tracks! 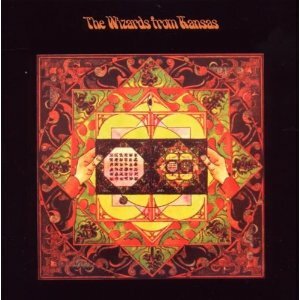 Retro psychedelic rock, occult image, these guys are the real deal. They fill a void somewhere between Dungen and Blood Ceremony. 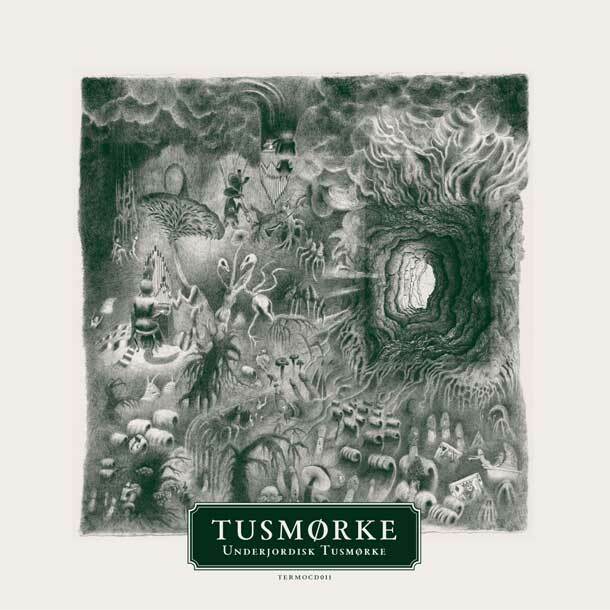 Featuring members of highly succesful Norwegian proggers Wobbler. Stellar production values. Cool packaging. References to krautrock and proto-prog. Gong, Caravan, Black Widow, Cressida, Can Amon Düul 2. 35007 is the code name for a projectile with a unique sound. Ranging from firm grooves drenched in multiple layers of sound and hypnotic riffs to flowing soundscapes. A fine combination of past and future in influences and technique. This sound has been captured on the very well-received albums "Especially for You" - 1994 (remastered and rereleased in '99) and "35007" - 1997, released exactly 50 years after Chuck Yeager's first sonic boom. These albums contain instrumental as well as tracks with vocals. The 10" / CDM "Sea of Tranquillity" - 2001, marked the appearance of 35007 MARK IV as well as the shift to even more hypnotic instrumental terrain. It goes beyond the conventional rock formula and astonished critics and audience. It was followed in 2002 by the fully instrumental sound track "Liquid", which continued to expand the boundaries of their sonic universe. The album contains 4 voluminous tracks which take the listener on a surprising and sometimes unexpected journey. On the latest release, "Phase V", 35007 continue the fully instrumental journey, this time leading into more abstract terrain, led by the roman philosopher Boethius (480-526) who stated that "music is mathematics made audible". With the digit 5 hovering predominantly, the album is about numbers and sounds. No words, no images.  The new album has already been nicknamed "songs for the blind", appropriately "visualized" by the minimal and sensuous artwork. Without the benefit of vision, the ears seem to work much better. Phase V is an intermediate state. No physical manifestation is to be expected in the foreseeable future, only time will tell what the next phase will be. Be prepared, as 35007 catapults your head into the next dimension. 35007 is a state of mind. First time on vinyl ever!